Value Purchase in Snell Isle! 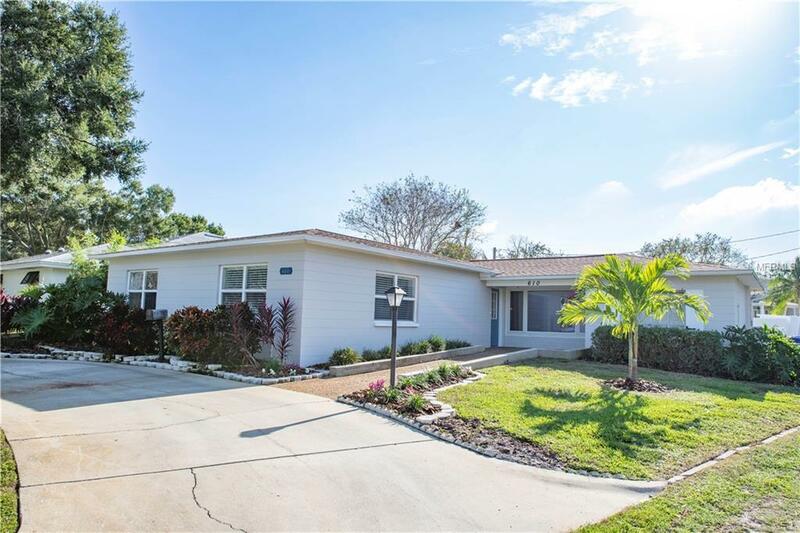 If you have been waiting for a move-in-ready home in one of the most desirable neighborhoods in St. Pete, at an excellent pricethis home is for you! The location is perfect - just minutes from the Vinoy Golf Club, Downtown St Pete, and endless miles of waterfront sidewalks and parks. A large Great Room including the Living and Dining space are open and inviting. The open Kitchen & Family room are towards the back of the house with access to the screened lanai and pool area. The kitchen includes stainless steel appliances and granite counter-tops. A nice vinyl privacy fence surrounds the backyard area. At 68 x 133, this large lot is buffered by an alley for additional access and could easily be arranged for larger backyard and play area. The Seller has completely updated the Master Bedroom Suite and Guest Bath. Additional Updates & Improvements include: NEW plank wood flooring in the living spaces, NEW (2016) carpet in all 3 Bedrooms, Interior and Exterior Paint 2018, NEW (2017) Pool Pump, Roof replaced in 2015 and has Hurricane Straps. HVAC system was replaced in 2012 and all of the ducting was replaced in 2018. NEW (2015) Electrical Panel and Tankless Hot Water Heater. Reclaimed Water Services 2013. See it Today!